"Songs from this L.A.-based artist are well-crafted, deftly produced and, thanks to Farnham's nasally vocal delivery, convey a hopeful optimism. "Spin" is the out-and-out winner here; a radio-friendly song with a big hook that's perfectly teed up and whacked over the fence. “First Man On Mars" alternates Farnham's vocal with mission control patter about the red planet. Fans of Brendan Benson and Death Cab could go for this artist, whose sound is imbued with electro-pop elements." Published every other Thursday since 1977, Music Connection magazine is a bi-weekly music trade publication catering to the music industry, its loyal fans, and support services. From its unique vantage point, Music Connection magazine has, for more than two decades, set its sights on every aspect of the music business, from decision-making in corporate towers to performing in local clubs. Whether discussing raw survival or the factors contributing to breakthrough success, Music Connection examines and defines the realities of music making. Founded on the principle of bridging the gap between "the street and the elite," Music Connection has garnered a solid foundation of active readers, and is commonly referred to as "the musicians bible." This leading music trade magazine caters to the seasoned veteran as well as the fledgling musician, and to the top executive as well as those trying to break into the business. Its broad appeal encompasses the songwriter, producer, studio manager, agent, attorney, publicist, label executive and, of course, the professional and semi-pro musician. Music Connection magazine is distributed through a network of newsstands, bookstores, 7-Elevens, AM-PMs, record stores, and musical instrument stores, the readership is over 75,000. Seventy percent of the readership is in Southern California, five percent in Northern California, and the remaining twenty percent throughout every major city in the United States and several foreign countries. 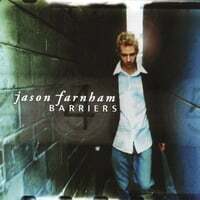 JASON FARNHAM: 'MORNING COFFEE' FROM THE ALBUM 'BARRIERS'- "The intro is what drew me in to this song. The easy going harmony and rhythm is what kept me in. The other thing that I enjoyed was the sprinkles of the distorted vocals too. The other thing that piqued my interest was the spanish voices. I still haven't figured out the reasoning behind that but hey, I liked it." BAND OF THE WEEK: "At his best (e.g. 'The Magician's Life'), Canton's Jason Farnham plays the kind of gorgeous pop that explodes onto radio fully formed...'Morning Coffee', like all the songs, bubbles over an unplugged foundation, with enough electronic flourishes to keep the mix hopping, even when the lyrics drift back to the New Age realm, as on 'First Man on Mars'." 'FIRST MAN ON MARS' (FROM THE ALBUM 'BARRIERS') "That's what you'd expect from a song about a celestial planet! Very expert musicality; I'd like to hear more from the artist." "It's funny, one of the most engaging CD's I've heard from a local musician in a while sounds like an import from the U.K. Jason Farnham's music may sound like it comes from the U.K., but it's from right here..."